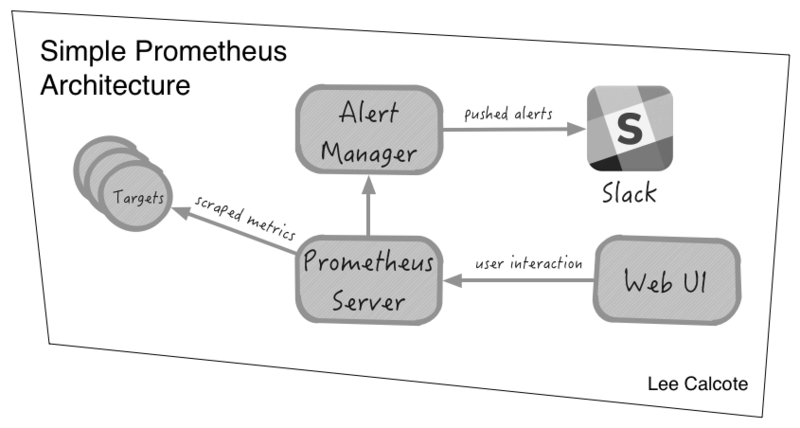 Recently adopted by the Cloud Native Computing Foundation, Prometheus is an open-source systems monitoring and alerting toolkit, focused on supporting the operation of microservices and containers. 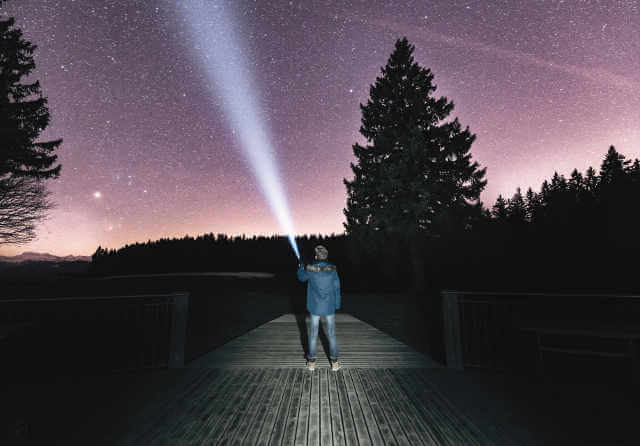 Like any open source project, it can be augmented with additional capabilities. Contributing to Prometheus is no different than most other open source endeavors, which, like many projects, welcomes community contributions. 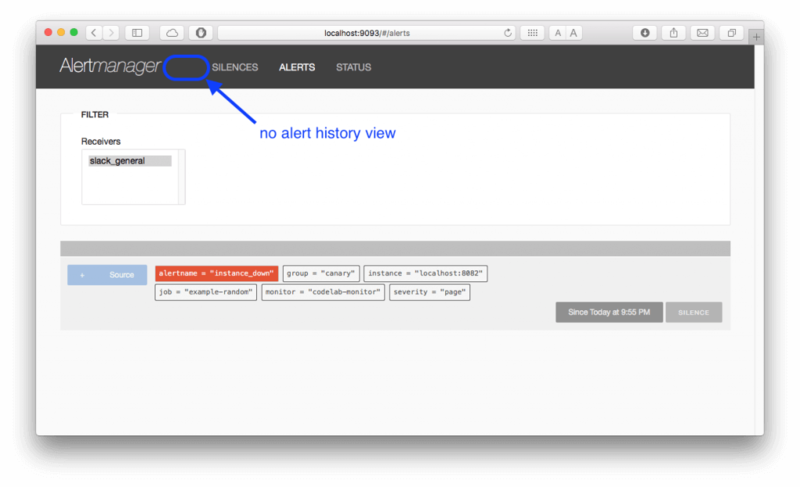 Let’s gain better familiarity with the process by augmenting Prometheus’ Alert Manager with a new “history” view. Tip: See this guide for a more complete approach to contributing to an open source project in general. The first step, naturally, is to check out the contributing guidelines for the specific repository (in this case, Alert Manager‘s). When electing to contribute to any open source project, you’ll want to ensure that you are capable of wielding the technologies used with the project — in this case, those are Go, AngularJS, SQL, etc. 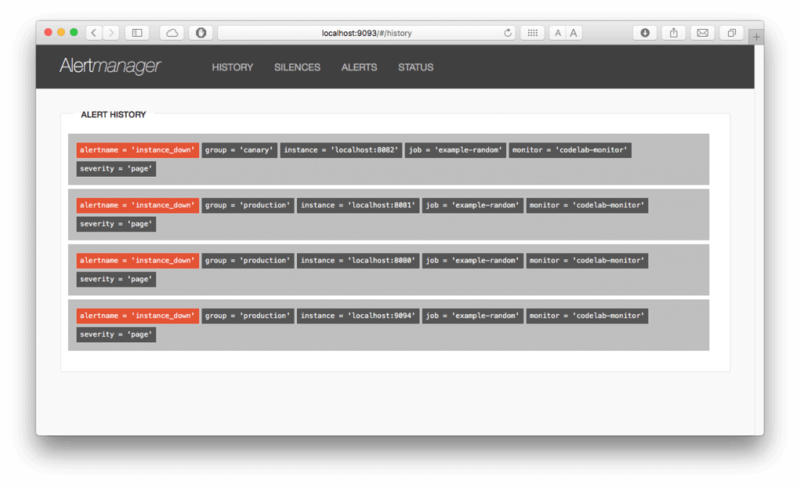 The AlertManager component handles alerts sent by client applications such as the Prometheus server, carefully de-duplicating, correlating, and routing their notifications to their appropriate receiver (e.g. email, webhook, etc.). Current behavior of this component is only to display actively firing alerts. As an Operator, I would like to not only see a list of firing alerts, but also a list of all transpired alerts, so that I may have additional context as the thresholding behavior for a given defined alert. AlertManager database (SQLite) is not intended to provide long-term storage. Once fired, whether actively firing or not, alerts will be displayed on the History page. Optionally, fired alerts will be notified to a Slack channel. # Load and evaluate rules in this file every 'evaluation_interval' seconds. Tip: AlertManager configurations can be visualized by using the routing tree editor. Next (optionally) create an alert notification receiver. Of the supported AlertManager receivers, let’s opt for integrating Slack. # If an alert isn't caught by a route, send it slack. # Send severity=slack alerts to slack. These steps will become familiar as you’ll use this same three-step build, run, test cycle throughout the process of creating new project functionality. If you choose to setup a Slack channel, you should now see new alerts firing as and when your random targets go up and down. Irrespective of the optional Slack integration, you should see new alerts in the AlertManager user interface. Now that our development environment is setup let’s start our contribution. A good principle of any modern software is to ensure extensibility and programmatic integration by way of solid APIs. Any functionality displayed in the user interface should be provided by an underlying REST API. Let’s open the /api.go file to add this new API endpoint. With our /api/v1/history endpoint a newly addressable API endpoint, we’ll need to build a function to handle requests made to it. The api.listAllAlerts function will handle inbound HTTP requests made to the new endpoint. With the new /api/vi/history endpoint and handler defined, we’ll need to register and define this new backend endpoint in the front-end user interface. By modifying /ui/app/js/app.js, we’ll provide a way of invoking this endpoint, and subsequently, navigate to a History view. There are a number of updates to the Angular application to be done. Finally, we’ll need a page in which to view the transpired alerts. So, create a new file, history.html, under /ui/app/partials. History.html will simply format the display a tabular recordset. A new recordset will be retrieved from our data provider. Assuming you’ve gone through a few build, run, test cycles, you should see a new History menu item with a list of all fired alerts, whether actively firing or not. While the AlertManager is not intended to provide a history (the roadmap calls for a form of logging that other tools can hook into), this example enhancement provides a view of transient history — that of the period that the SQlite database holds. The example enhancement is not intended to be a full-blown historical record. 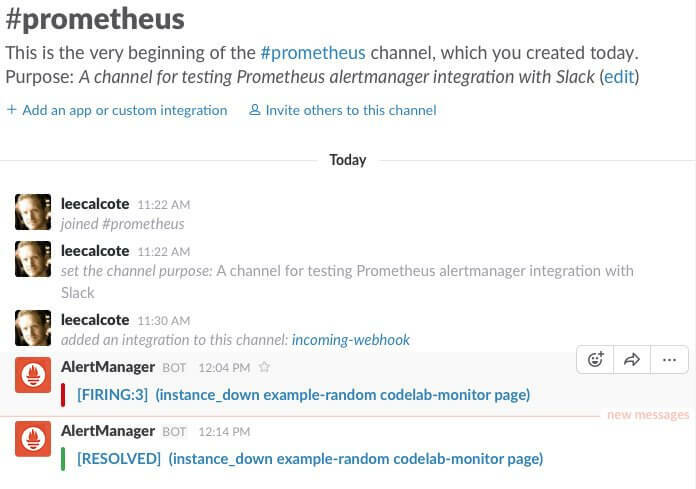 The Prometheus open source project moves at a fair clip. Be sure to avoid frustration by ensuring that you submit a pull request in advance of creating any significant enhancement. This example enhancement is not well-aligned with the project trajectory given sweeping changes coming to the data provider backend. For those interested in digging into Prometheus more, join us for a post-DockerCon 2016 meetup in Austin, TX. Prometheus is the subject of the next Microservices and Containers Austin meetup. Feature art by Dino Reichmuth via Unsplash.